We cater for children from three months to two years. 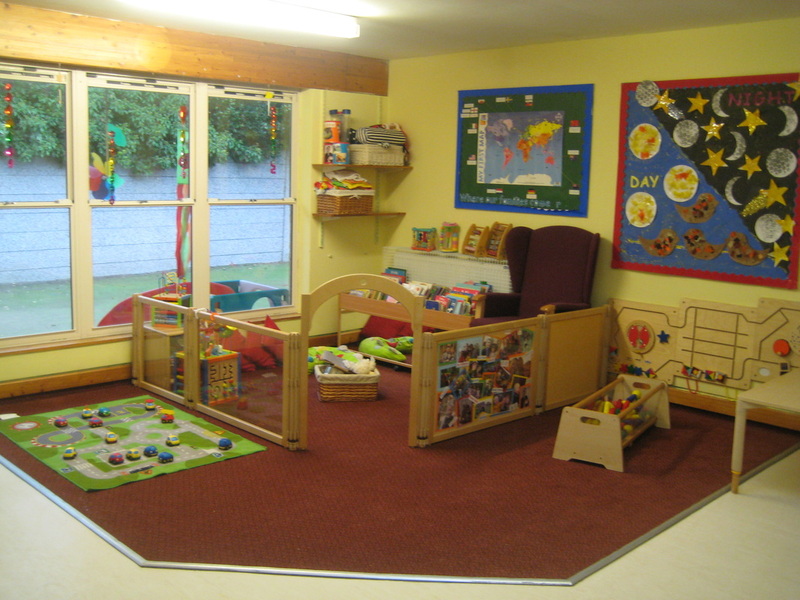 We have a free flow system between the two adjoining rooms, offering the children a wide variety of activities such as sand, water,messy play and painting, also we have free flow into our garden area. Children under the age of one sleep in sliver cross style prams in our outside pram shed all year round, unless the temperature drops below 5, if this should happen then they are moved inside. children aged between one and two sleep on mattress, and checked upon on a regular basis. Sensitive observations are carried out which assist the staff to see how the children learn and helps to facilitate a relationship with the parents, valuing their input whilst ensuring their child stays at the centre of our approach to care. Staff and parent partnership plays a key role in our practice and this starts before your child joins the Under Two's area. We offer a home visit to all new parents, which allows 2 staff members to meet you and your child in your home. The home visit allows you to meet the staff and thus giving you a familiar face for when your child starts. They will go through some paper work with you finding out about your child, their routine, their likes and dislikes and gives you the opportunity to ask any questions you may have regarding your child in JCN. Around your child's 2nd birthday, they will transition to one of the explorer rooms. this is done via play sessions and regular visits to the Over Two's area.